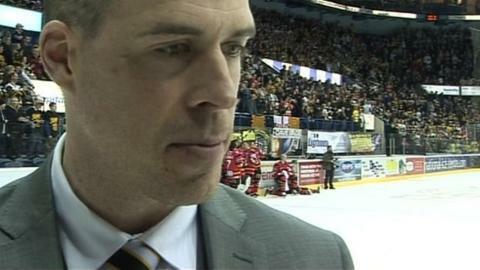 Nottingham Panthers head coach Corey Neilson says his side will play an "up-tempo style" this season. The Panthers are currently undergoing their training camp ahead of the new season, which starts in September. Neilson told BBC Radio Nottingham: "We are looking to play a more up-tempo game. I thought it worked for us in our Grand Slam season. "We were lucky not to get bad injuries then and play at a good pace - and we have a lot of plans this season." Panthers have warm-up games on the road at Coventry Blaze and Manchester Storm, along with a home game against Braehead Clan, before the season starts on Saturday 5 September with the visit of Dundee Stars.